The revision workshop is designed to build on the study manual to provide additional support, exam techniques and a greater understanding to help you pass your exam first time. The J07 notoriously has one of the lowest pass rates of all the exams but Paul Archer has been tutoring students in this paper for 20 years (he passed in 1998) and has helped hundreds to pass first time. The workshop is totally online using our Skype for Business Platform. Microsoft is ubiquitous on corporate systems and blends well with Skype for Business. The online workshop can be viewed from a device of your choice – tablet or Laptop/PC – all you need is WiFi, a microphone and a webcam to attend. A laptop or PC is preferable as this gives you the best experience, smaller screen devices limit the space. This is not PowerPoint on a screen. This is video based where you talk, listen and engage via video. Paul will be using his whiteboard to explain things as well as visual support from PowerPoint. You’ll be immersed in an engaging and enjoyable learning experience which is live and involves group discussions, tutor presentations on PowerPoint and live appearances on the camera supported by a whiteboard. 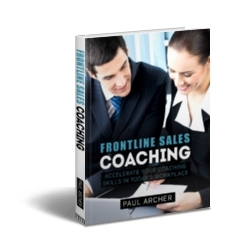 Each delegate will receive a copy of Paul's Book "Frontline Sales Coaching" which includes many of the models contained in the exam. This will be signed and posted on enrolment. Plus an hours coaching using Skype that you can use before the exam. 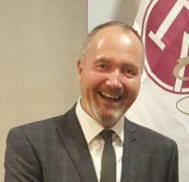 Paul Archer is a master in selling, sales coaching and customer engagement and has worked with hundreds of corporations across the world to help them increase their sales revenue. He is an accomplished speaker, workshop leader and sales coach; continuously ahead of the curve, Paul ensures the latest tools are used in helping clients increase their sales revenue. Paul is a Master Practitioner in NLP, a qualified sales coach, published author and member of the Professional Speaking Association in the UK. He has been tutoring for the CII since 2010. Paul is a prolific writer and blogger – maintaining three blogs, with paularcher.com attracting thousands of hits from all over the world since being updated twice a week for over 8 years. He has published eight books. His latest book "Pocketbook of Presentation Skills" was published in January 2017 and is available from Amazon. He is a regular writer both on line for his blogs, Ezinearticles, and off-line with the T&C News and other industry magazines. Signed copy of Paul's Book "Frontline Sales Coaching"
Paul's signed book "Frontline Sales Coaching"
Do book early as we're limiting the number of delegates to 6 per course to ensure maximum interaction and online learning. Enrol using the secure arrangements below, using your debit or credit card. Click the box below and follow the instructions to pay on line.